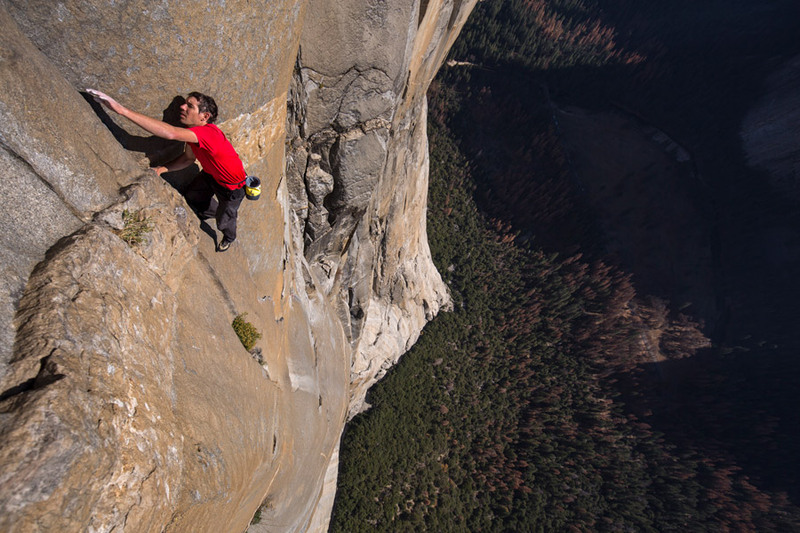 Free Solo, the BAFTA and Oscar nominated documentary about Alex Honnold's ascent of El Capitan is in select theaters now, and coming soon to the National Geographic channel. Alex, what is it like to do something that no one else on earth has ever done? It’s satisfying, but the thing is nobody else is really playing the game of free solo climbing, so it's easy to win when no one else plays, you know? When you're just playing by yourself, anything you do is going to be something that has never been done before. It’s not just free soloing El Cap, I think I've done something like 35 or 43 solos that were the first time they'd been done, or they were new in some way. But there are of course other free solo climbers in the world, no? (Laughs) I think some of that is cultural stuff. In the seventies and eighties, there were more people free soloing, it was slightly more common, and I think part of that is that climbing has gotten safer. Climbing used to be extremely countercultural and fringe, this niche outrageous activity. And now it's much more mainstream, much more accepted. I walked over to the climbing wall here in town today and a bunch of folks are on their lunch break climbing. These are not people who are part of a counterculture, you know, these are like, bankers and stuff in central London. In 2016 you got an MRI scan to determine if there was something in your brain that makes you experience fear differently than the rest of us. I mean, it wasn't exactly rigorous science but basically the results were just that through lots of exposure, I'd sort of desensitized myself to certain kinds of stimulus, which makes total sense. If you practice something you get better at it or you become less sensitive to it — so I saw the results as totally normal. That makes perfect sense to me. It seemed to suggest that you are some sort of psychopath! 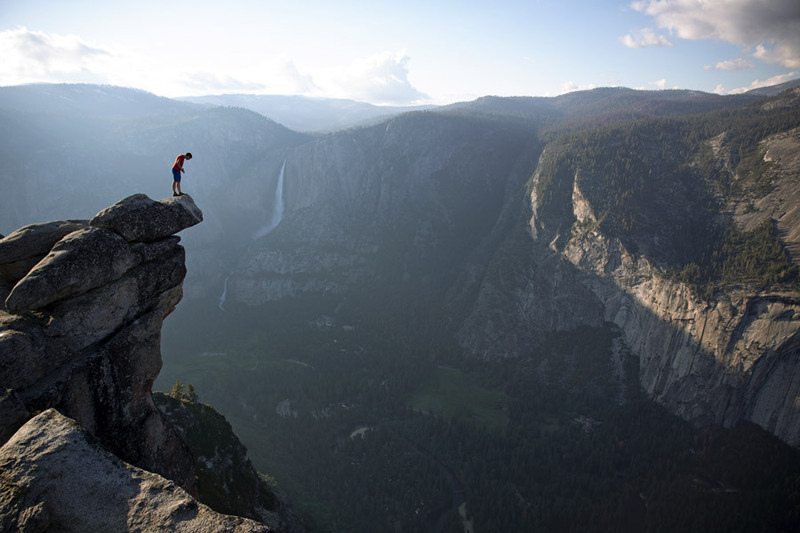 But would you say that you, or any extreme athlete, has less fear of death? I’ve had a couple of ex-girlfriends sort of accuse me of having a personality disorder! (Laughs) No, I don’t know. I've always been afraid of death. I've never wanted to die. Last year, I watched this guy die in Red Rock. It was this horrible freak accident thing. He fell and he cracked his head and basically just bled out. That was the first time I'd ever actually seen a climbing accident like that. It was kind of sobering — he was even wearing a helmet — it was a reminder of how dangerous climbing can be if things go wrong even when you have all the ropes on. Does witnessing that kind of thing make it harder to do what you do without ropes? No, I mean, seeing what happened to this guy or even having known people that have died in accidents doesn't really make it easier or harder. I still don't want to die. You try to learn from accidents that happen. You try to take some kind of lesson from it, but ultimately you're still always doing your absolute best to not die in an accident. I probably have a more nuanced relationship with death now because I've thought about it a lot more. 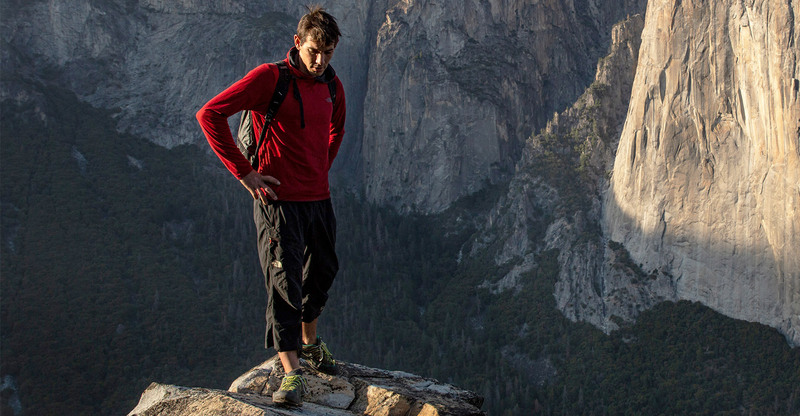 I've talked about death a lot more since appearing in the documentary, Free Solo. The high-wire artist Philippe Petit has said that he doesn’t have a death wish, but a life wish. I actually did a panel discussion with Philippe a couple years ago, and I was really excited about it because he was a big inspiration for me. I saw that film, Man on Wire, maybe six, seven years ago or something. I hadn't climbed El Cap at that point and it definitely made me think about it because he was saying that before he tightrope walked between the Twin Towers, they were just really calling to him… He had this quixotic desire, this desire that makes no sense, it’s just like he wants to do this thing. And I couldn't help think of it in terms of El Cap. 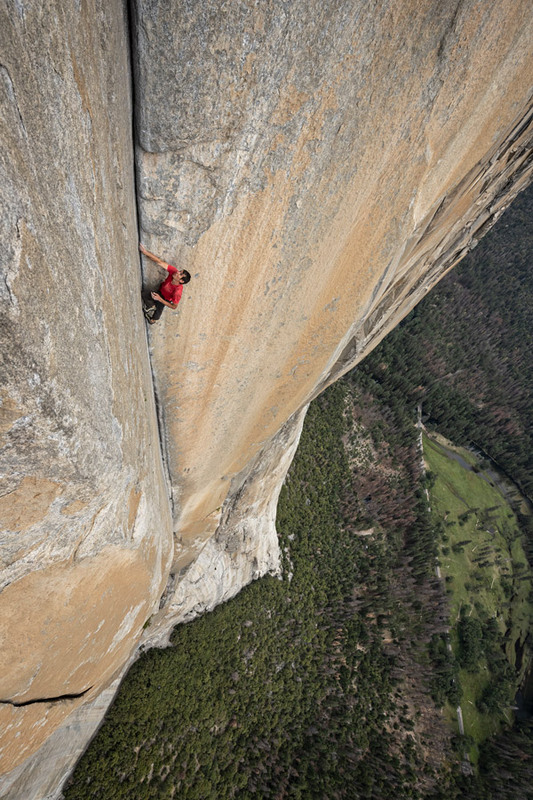 How much of the allure of free soloing El Capitan has to do with ego, do you think? Well, certainly some, you know what I mean? Any kind of quest for achievement has some kind of a personal drive behind it. I'm sure some people would say that if you're making a film about something, then it's obviously about the ego. On the other hand, it's not as if I'm competing against anybody. It's not as if I'm trying to outdo anybody. Technique is critical, and it's very elemental. It's like… There's a wall. The wall doesn't care one way or another, nobody else cares one way or another — it's just me trying to do something to see if I can. It’s funny, 10 years ago lots of things were very scary to me that just aren't anymore, like the first couple of free solos that I ever did, I remember the routes at this local cliff outside of Sacramento…. Now I would find them completely trivial, you know? It would be like walking up a steep hill whereas when I first did it, I thought it was so extreme! I’ve always been taking little these baby steps up until El Cap, which represented a much bigger step for me. That ascent was the culmination of 20 something years of climbing all the time. You were 10 years old when you first started climbing? I started rock climbing when I was 10 or 11, yeah. A climbing gym opened in town and my parents took me there. They assumed I would like it because I'd always been climbing in trees and buildings and things, so I mean I’ve kind of been climbing my whole life, I’ve done nothing but climb ever since. Even when we started filming the documentary, the crew are good friends of mine and I’ve been climbing with them for years, so it didn't feel that daunting when the process started. It's probably for the best that me and my girlfriend, who is also in the film, both just went into it as sort of unwitting victims. Does the footage make you look back on the experience any differently? Not really! The film is almost like flipping through a scrapbook because when I watch it, I'm seeing all these wonderful memories from the last two years, the time spent with my friends, preparing… I don't think I've learned anything new from it per se because I've already lived through it. I've already thought about it and now it's over. I've already digested that part of my life.